Michelle's life is a lot like a lot of folks in DC: she has a demanding job, she travels a lot for work, and she's doing it all to make the world a better place. You know, she's a busy urban professional. Her life wasn't always this way: she lived in DC for the first time right after college, working for an environmental advocacy group, but soon "moved across the country on a lark to work on a farm in Washington State." It was there that she first learned about CSAs and learned how to cook fresh produce. Several years, several moves, and two master's degrees later, she moved back to DC in 2016 and found Owl's Nest. She became our first ever work-trade volunteer, spending a few hours on the farm each week in exchange for a share of vegetables. She loves the work trade because it enables to put her values into practice: "The choices we make matter, on the micro level of supporting local business and a thriving local economy and also on the macro level, in terms of public health and climate change. Since the work that I do on a professional level is more abstract, it feels really good to get my hands in the dirt." But when I first asked Michelle to talk to me about her CSA experience, she admitted to feeling hesitant. During a particularly demanding year in terms of work travel, she was feeling like she wasn't at her CSA best, and ended up eating more quick meals of bread and hummus than making culinary masterpieces. As we talked, we realized that for Michelle, being part of the CSA is ultimately about self-care. For her, self care isn't about spa days or bubble baths, she said, "but more, what are the things you can do in your daily life that are about taking care of yourself." And the act itself can be the reward: it is deeply satisfying to cook yourself a meal. "It can be hard to carve out the time, but it also feels totally indulgent to turn off NPR, listen to music, and chop vegetables," Michelle said. Disconnecting from the rest of the world and being present in the kitchen is nourishing far beyond the nutritional value of the meal. The veggies in her fridge often motivated her to do just that. 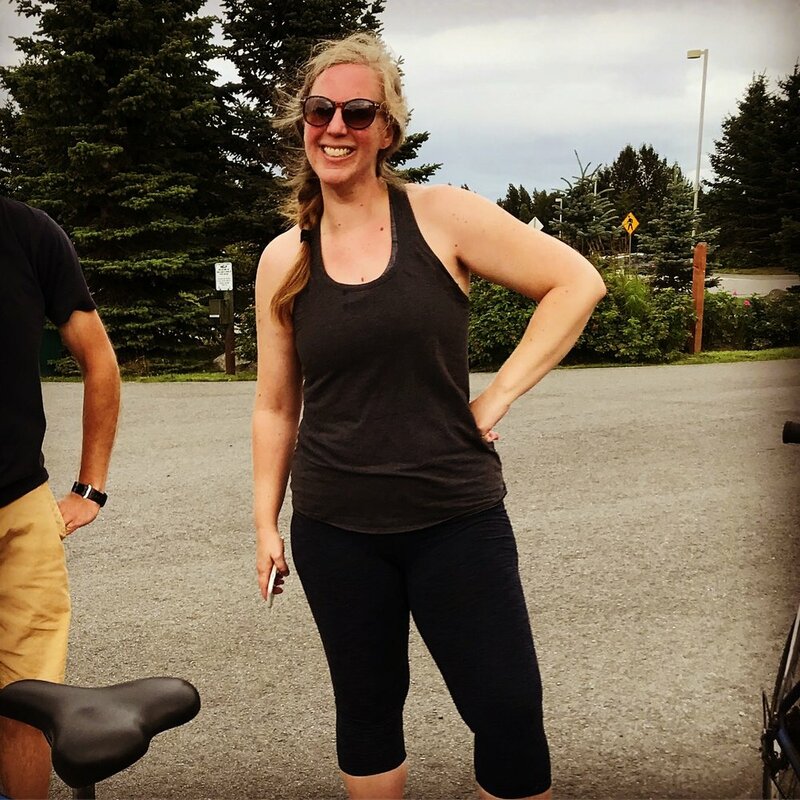 "Even when I wasn't cooking the most amazing meals, I was prompted to take care of myself in a way that I wouldn't have otherwise," said Michelle. The produce was a reminder of her best self, the one who takes the time to make her life delicious. Michelle doesn't really cook from recipes much anymore, but her basic formula for a healthy meal is greens, beans, and grains. When she has meal prep time, she cooks her beans and grains in advance, and then she can put together a weeknight dinner in a snap. You can make something special that's not hard. An ongoing joke in Michelle's life is about her future food blog called "OOPS I made dinner" where OOPS = Olive Oil, Salt, and Pepper. In other words, a really simple raw or roasted preparation with just these few ingredients can make a delicious meal, especially when you're using high quality, fresh produce. Vegetables enhance everything! Even if it's just adding some fresh tomatoes or roasted turnips to a cheese pizza, they can make your meals more exciting and flavorful. Cooking with fresh produce can take more time, but the rich sensory experience of making your own meal is so worth it. Spices: Michelle loves cumin, thyme, oregano, and smoked paprika. As a vegetarian, Michelle says the smokiness really helps add a depth of flavor to lots of meals. 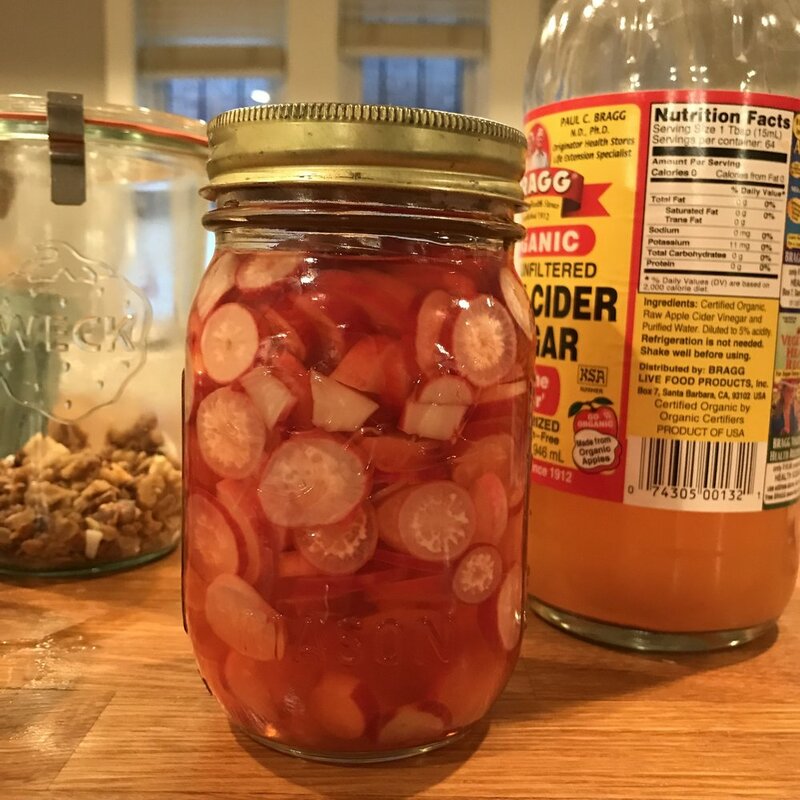 Crunch: "can come from fresh radishes or cabbage, from pantry items like nuts and seeds-- almonds, pumpkin seeds, walnuts, shredded coconut-- all best when toasted!" 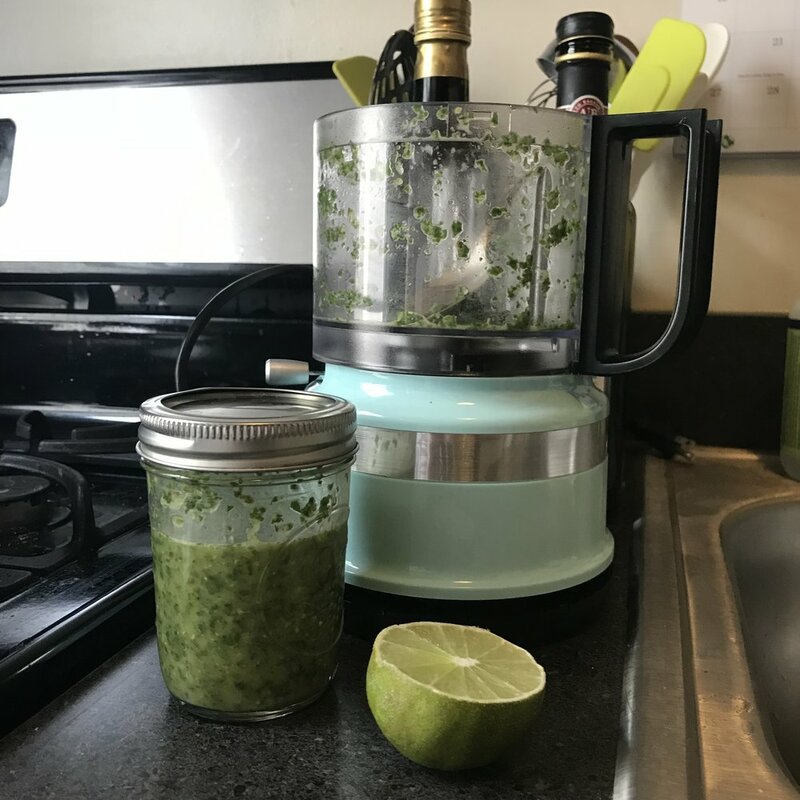 Tools: After years of using an immersion blender, Michelle recently invested in food processor and loves it. She also can't do without her sharp knife, secretly loves the avocado seatbelt her mom gave her as a gift, and her citrus squeezer - "great for getting the juice and not the seeds!" Resources: Michelle (and lots of our CSA members) love Samin Nosrat's Salt Fat Acid Heat. And there is a special place in Michelle's heart for Deborah Madison's Vegetarian Cooking for Everyone. "The portion of the cookbook dedicated to individual vegetables and other ingredients and what to do with them helped me develop "principles" of cooking so I don't have to rely on recipes. All of her cookbooks focus on great, local, fresh ingredients and letting the flavors shine." Michelle says: "Sometimes I like to "turnip the beets" while I'm cooking. Listening to 'roots' while chopping.... root veggies. I should stop but I don't carrot all."